The development of the close relations we have with our Asian regional partners involved in Antarctica will be increasingly important in protecting the Antarctic region as well as in frontier marine, biological and climate research in the Asian century. Australia’s scientific research and basing capacities in Hobart and in Antarctica have fostered closer cooperation with China, Japan, Korea, Malaysia and Indonesia and other partners on Antarctic research and logistics. This cooperation can be elevated through the Australia’s Antarctic science strategic plan, working within the Antarctic Treaty system. Asia doesn’t operate as a bloc in Antarctic affairs. But there’s an eight year old Asian Forum for Polar Sciences. It coordinates research among India, Japan, China, Korea, and Malaysia. At some point we might consider requesting observer status at AFoPS. Malaysia joined the Antarctic Treaty system last year. It had previously actively promoted the idea at the UN that the common heritage of mankind regime should apply, like the international seabed, to Antarctica. But unlike the deep seabed beyond national jurisdiction, Antarctica’s subject to sovereign claims. China already has two stations inside Australia’s Antarctic Territory and we’ve recently concluded an MoU with China on Antarctic cooperation: China’s now an important player in climate change science in Antarctica. Indeed, Chinese scientists are modern polar explorers. In 2005, they reached Dome A, in Australia’s Antarctic territory, one of the last great unexplored areas of the white continent. It also happens to be the highest point on Australian territory, but a place that Australia never visits. An Australian automatic weather station was installed by a Chinese expedition to the site seven years ago because the Australian Antarctic program couldn’t do it themselves. India’s commenced construction of a new station close to Australia’s Davis Station two years ago. In fact, we assisted India develop an environmental impact statement for the base. South Korea plans to establish a new station in proximity to our Antarctic territory by 2014, with Australia already assisting on environmental impact assessment analysis. We shouldn’t be too concerned about these developments: the Antarctic Treaty system provides access to establish bases on the continent to members of the Treaty system to facilitate scientific research. Asian states are expanding their activities into Antarctica, partly motivated by opportunities for economic activity. While there’s some interest in tapping into Antarctica’s biological resources, the main focus is on fishing. Southern Ocean krill is the largest underexploited fishery in the world. South Korea has fishing interests there, although India doesn’t yet. China did conduct illegal fishing for Patagonian toothfish in the Southern Ocean some years ago, but isn’t active any more. It’s interested, however, in krill fishing. Australia’s working with other Asian states in Commission on the Conservation of Antarctic Marine Living Resources (CCAMLR) to manage marine living resources in the Southern Ocean. But China’s blocking proposed marine parks in the Southern Ocean that we’re promoting, fearing it might create a precedent for restricting the exploitation of ocean resources. Both China and Russia at last week’s CCAMLR meeting in Hobart, managed to put in place a procedural move to get the issue considered by a specially convened CCAMLR science committee meeting next July in Germany. 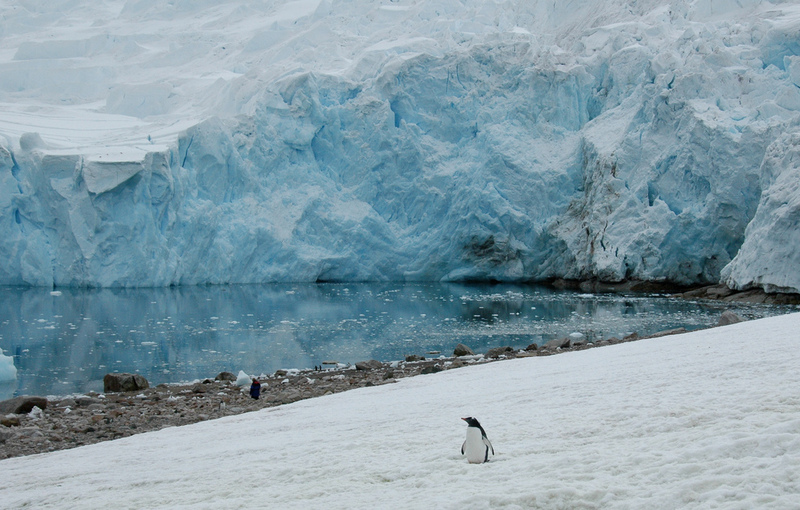 It will examine proposals for marine parks in the Ross Sea and eastern Antarctica . China’s also interested in Antarctic minerals development, but a protocol to the Antarctic Treaty bans mining, and this can’t be reviewed until 2048. If there were to be disputes over Antarctic resource development, the issue is, however, unlikely to ever get to the UN for settlement. That’s because members of the Antarctic Treaty system have actively opposed any UN involvement in Antarctic affairs, preferring to work within the Treaty system. The Secretary General of the UN, Ban Ki- moon, in January this year set out his five year agenda. It included making Antarctica a world nature preserve. This will be strongly resisted by Australia and other Antarctic treaty players  (PDF). Anthony Bergin is deputy director of the Australian Strategic Policy Institute. Image courtesy of Flickr user Rita Willaert .